Improve communication by providing visual connections through webcasting. Conference calls, emails, and faxes all lack the benefit of body language and facial expression which is essential for complete understanding of a message. Dynamic Digital Advertising provides live Internet webcasting broadcast that allows audiences to see your image or communicate via email for improved communication capabilities from coast to coast and around the world. 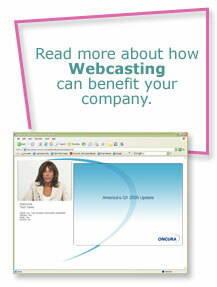 Click on the icon to read more about how webcasting can benefit your company. Dynamic Digital Advertising provides state-of-the-art webcasting and additionally designs and develops websites that have this capability built in. Live webcasting capabilities allow you to participate in meetings and conferences from remote locations with participants virtually anywhere. Webcasting also allows your audience to see you as you make presentations. Archived webcasting lets people with busy schedules partake in events, meetings, and presentations after they have occurred. A powerful communication and recording tool, webcasting grants you flexibility in scheduling. • Live event or On-Demand? A pioneer in search engine marketing, Dynamic Digital Advertising has forged a revolutionary website design and website development process of fourteen critical steps. These fourteen steps build a well-structured, highly-stylized website designed to provide a targeted searcher with the exact information he or she wants as well as a high level of organic search engine optimization. The advanced search engine optimization allows the targeted searcher to find your website through a search engine such as Google, Yahoo, or MSN, while a well-designed website ultimately leads the searcher to become a customer. As the Philadelphia areas leading graphic design company, Dynamic Digital Advertising provides the widest possible range of marketing media to clients in a limitless number of industries. 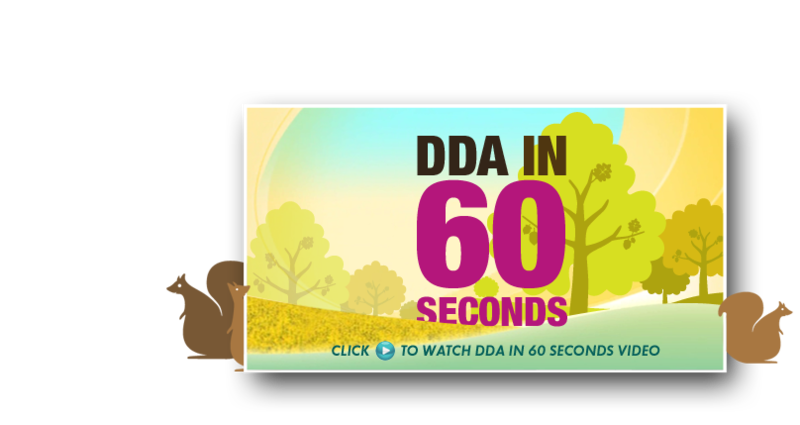 One of DDAs core competencies is in print media graphic design for brochures, business cards, post cards, direct mail, calendars, catalogs, and many others. Many of these graphic design tools also transfer to the digital realm through fully-interactive CD-ROM catalogs, business card-sized CD-ROMs, and eBrochure PDFs as well as Flash FlipBooks.